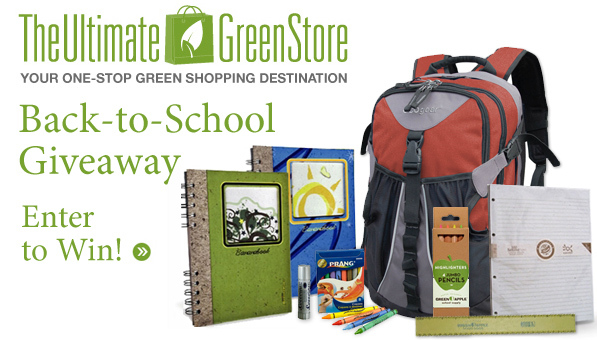 Welcome to A Very Green Back to School Grand Prize sponsored by The Ultimate Green Store. The Ultimate Green Store can be your one-stop-shop for all things green and eco-friendly for your whole family. Please enter below using the Rafflecopter form for your chance to win this earth-friendly backpack filled with environmentally friendly school supplies. When you are done entering for this amazing prize, please make sure that you have entered to win the prize from Why We Love Green--an earth-friendly backpack for preschoolers! 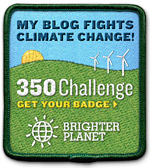 Also check out the other blogs who are also giving away green school supplies and accessories.